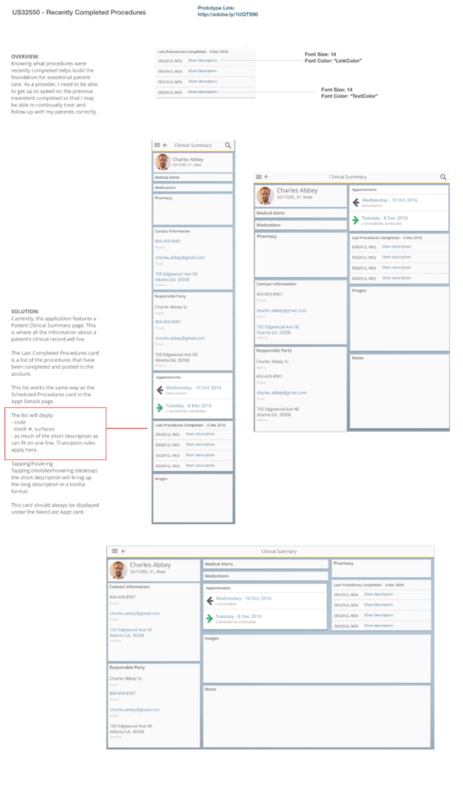 I worked as a UX and Visual Designer in the design of a mobile application designed to provide a dentist with information about their patients and his or her office schedule. 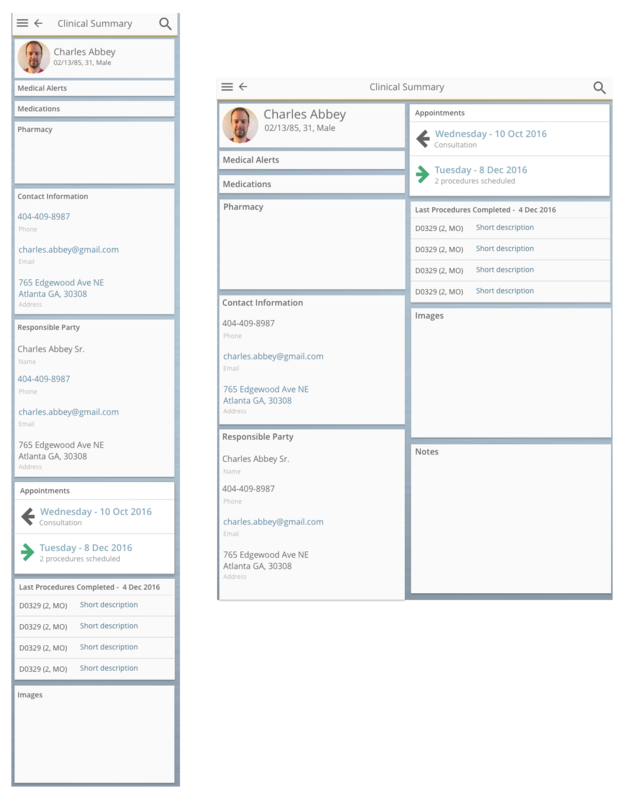 Doctors log in to the app to view a real-time schedule for the office. The doctor can also view some patient details, including contact information, recent procedures, medical alerts, and preferred pharmacy, in order to efficiently facilitate the out-of-the-office workflow. 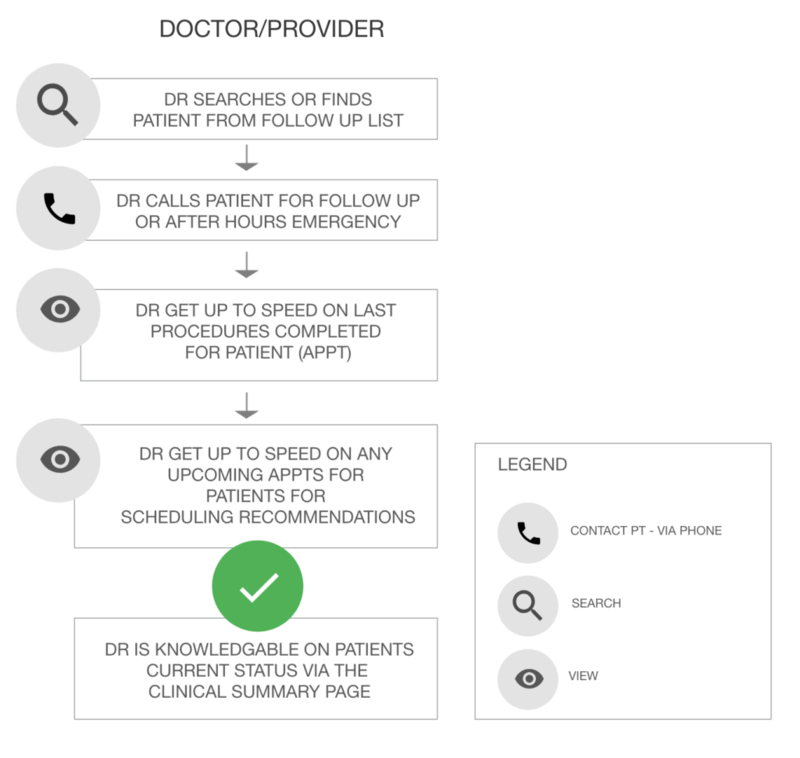 I researched and designed multiple features to provide doctors with the information required to follow up with patients, and ensure they are prepared for what’s coming next on his/her schedule. These critical details included Medical Alerts, Next/Previous Appt details, and Last Completed Procedures. I was also responsible for the visual and interaction design of the features I worked on for the dental workflows mobile app. One of the most important pieces of information a Dr. needs to know about their patients is the patient’s medical alerts. This can be a life or death situation. This was a requirement determined for the app as well. 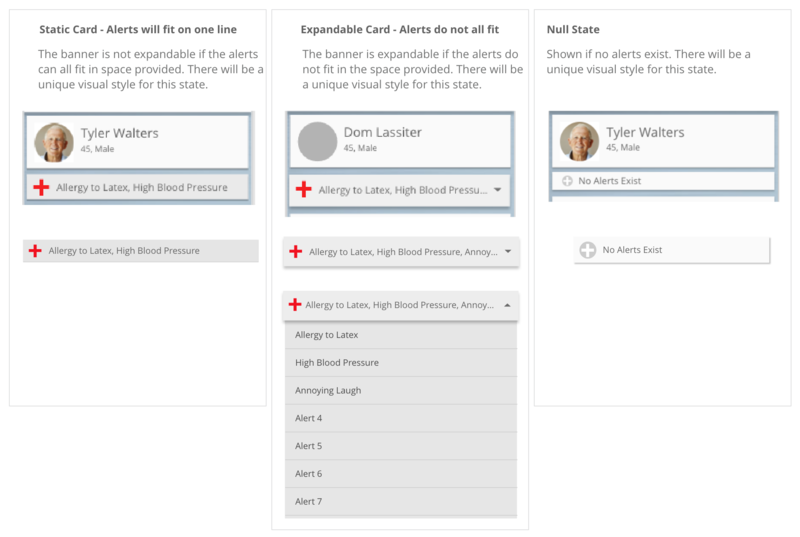 Medical alerts would access via a short grey card under the patient’s name card. 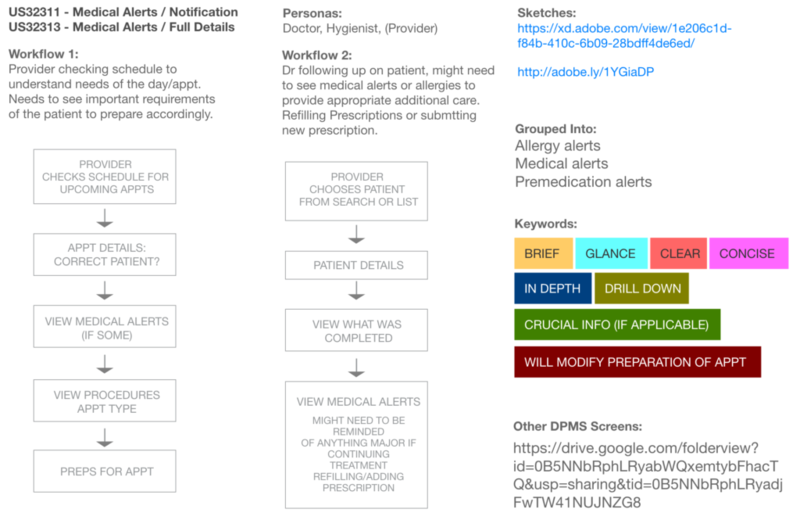 Upon press, the panel would expand and overlay a list of the patient’s medical alerts on top of the UI. Another important set of information regarding a patient is when they were in last and if they have an appointment scheduled for the future. My solution was to provide a card for both the last appt, and the next scheduled appt. The card would display an arrow showing the previous appt with the day and date. Also, the appt type would display if applicable. Touching either of the areas would display more information regarding the appt. It’s important to know what has recently been completed on a patient when you are getting-up-to-speed or following up with a patient. CS Boost would have a dedicated card that would list the latest procedures completed by the office. 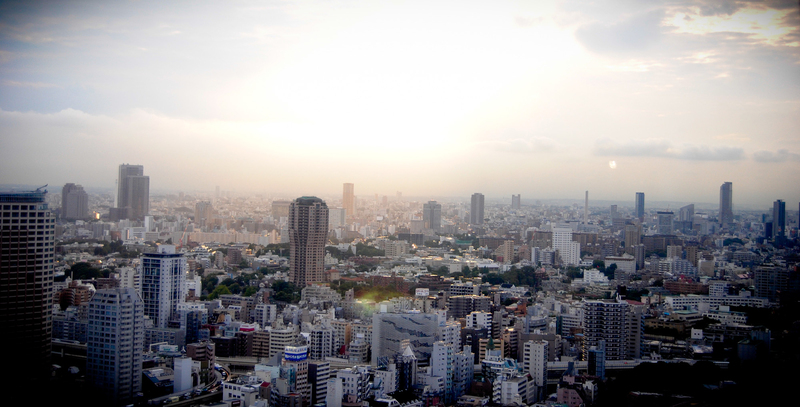 Our process was developed from the “double-diamond” process concept. Validation was a key part both with stakeholders and customers. I designed the app icon as well. This was featured in the Google and Apple App Store. Click to view Adobe XD Prototype 1. 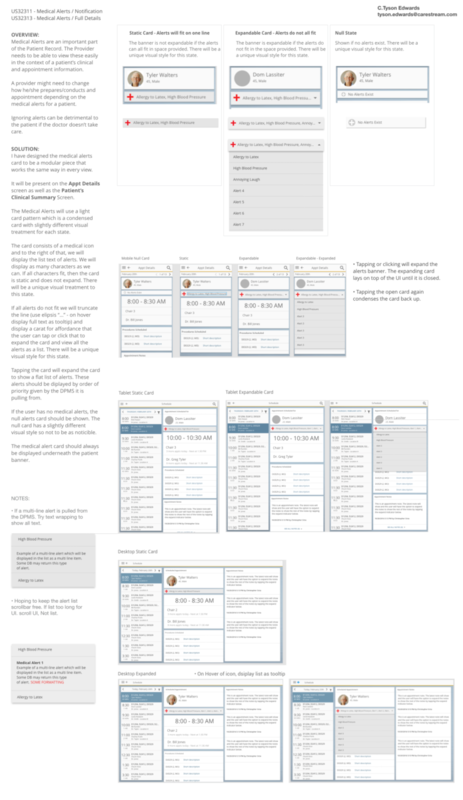 Click to view Adobe XD Prototype 2.